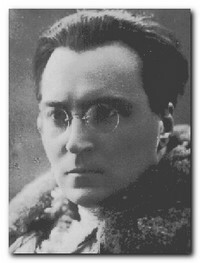 Victor Serge (1890-1947) (real name Victor Lvovich Khibalchich) was born in Brussels, the son of Russian-Polish exiles. His father was an officer in the Imperial Guard who fled the country after the assassination of Alexander II in 1881. His mother was a Polish aristocrat and a teacher. Serge’s father found work as a teacher at the Institute of Anatomy in Brussels, and then moved to France where he became involved in the radical Russian emigre community. As a child he often went hungry, he never went to school, and his younger brother died at the age of nine. He began work at the age of 15 as an apprentice photographer, then went on to work as a designer and a typographist, learning this trade in an anarchist printing works. Serge suffered privation and hardship throughout his life and spent over ten years of it in prisons. He was strongly influenced by the works of the Russian anarchist Kropotkin and became an active journalist and translator in the revolutionary press. In 1912 he was wrongly accused of participating in the Bonnot Gang, a group of bohemian bank robbers. Several of his comrades were executed: Serge was given a five year jail sentence in solitary confinement, followed by five year’s exile. Freed in 1917, he went to Barcelona to work as a typographer, and also took part in the popular insurrection there. In 1918 he volunteered for service in Russia, but was arrested and imprisoned without trial in Paris, because of the ban on his staying there. Then he was exchanged for an officer of the French military mission being held in Russia. The whole sweep of his life as a writer, intellectual, historian, and revolutionary is covered in his autobiographical Memoirs of a Revolutionary. This covers the period between 1900 and 1940 and includes his early affiliations with the anarchists, his participation in the Russian revolution, and his fight against Stalinism. But it is much more than just a historical chronicle. It follows his intellectual and artistic development, and his dealings with lots of the major figures of the Left during this period – Trotsky, Zinoviev, Radek, and Georgy Lukacs. Arriving in Petrograd in February 1919, he joined the Bolshevik Party and worked on the executive of the Third Communist International with Gregory Zinoviev, travelling to Moscow, Berlin, and Vienna. Meanwhile he also worked as a journalist for L’Humanité and Le Monde in Paris. In 1923 he took part in the communist insurrection in Germany. Around this time he became increasingly critical of Soviet government. He joined with Emma Goldman and Alexander Berkman to complain about the way the Red Army treated the sailors involved in the Kronstadt Uprising. A libertarian socialist, Serge protested against the Red Terror that was organized by Felix Dzerzhinsky and the Cheka. Following this he joined the Left Opposition group along with people such as Leon Trotsky and Karl Radek. Serge was an outspoken critic of the authoritarian way that Joseph Stalin governed the country and is believed to be the first writer to describe the Soviet government as ‘totalitarian’. Because of this, Serge was expelled from the Communist Party in 1928. He was now unable to work for the government and over the next few years he spent his time writing Year One of the Russian Revolution (1930) and two novels Men in Prison (1930) and Birth of Our Power (1931). These books were banned in the Soviet Union but were published in France and Spain. He wrote in French: besides being the preferred language of Russian intellectuals of his generation, French assured him an international audience. Susan Weissmann’s The Course is Set on Hope is the first full-length biography of Victor Serge. It draws on some of the recently-opened Comintern archives and shows Serge’s principled struggle to maintain socialist principles in his fight against the grip of totalitarianism. This covers the period from 1919 when Serge first went to take part in the Russian revolution, until his death in poverty and exile in Mexico in 1947. In May 1933, he was arrested by the secret police (the GPU) and sentenced without trial to three year’s exile in the village of Orenburg in the Urals – an early outpost of what would become the Gulag Archipelago. Most of his colleagues in the Left Opposition that were arrested were executed, but as a result of protests made by leading politicians in France, Belgium and Spain, Serge was kept alive. Protests against Serge’s imprisonment took place at several International Conferences. The case caused the Soviet government considerable embarrassment and in 1936 Joseph Stalin announced that he was considering releasing Serge from prison. Pierre Laval, the French prime minister, refused to grant Serge an entry permit. Emile Vandervelde, the veteran socialist, and a member of the Belgian government, managed to obtain Serge a visa to live in Belgium. Serge’s relatives were not so fortunate: his sister, mother-in-law, sister-in-law (Anita Russakova) and two of his brothers-in-law, died in prison. All of his writings and personal papers were confiscated by the secret police. There have been several attempts made to have these released, especially after the fall of communism in 1989. They have still not been located. The Case of Comrade Tulayev is without doubt Serge’s masterpeice, and the finest novel written about the Stalinist purges of the 1930s. A government official is shot at random by a disgruntled Moscow youth, and this sets in motion a repressive crack-down in search of a ‘political conspiracy’ which does not really exist but which gives the forces of repression an excuse to eliminate their rivals. The youth goes free, even though he confesses, whilst completely innocent officials are forced to ‘confess’ to crimes they have not committed. The story is closely related to Stalin’s organisation of the murder of Kirov, the popular head of the Leningrad party district. He returned to France in 1936 and resumed work on two books on Soviet communism, From Lenin to Stalin (1937) and Destiny of a Revolution (1937). He also published several novels and a volume of poetry, Resistance (1938) about his experiences in Russia. there was a voluminous exchange of correspondence with Leon Trotsky, though the two oppositionists eventually agreed to disagree. When the Germans invaded France in 1940, he left Paris and travelled to Marseilles, and in 1941 left on the same ship as Andre Breton and Claude Levi-Strauss. His destination was Mexico – the only place which would grant him a resident’s visa. As soon as he settled there he became the object of violent articles and threats to his life from refugee Stalinists – who had recently assassinated Leon Trotsky. It is astonishing to realise that alongside all his political activities and his time spent as a historian and novelist, Serge also found time to write on literary theory. His Collected Writings on Literature and Revolution offer reflections on modernist literary theory, Russian experimental writing, and the nature of the relationship between literature and politics. It gathers together for the first time the bulk of his literary criticism from the 1920s to the 1950s, giving an invaluable contemporary account of the debates about the production of literature in a socialist society, the role of intellectuals, the theory of ‘proletarian’ literature, as well as assessments of Soviet writers: Mayakovsky, Gorky, Alexei Tolstoy, Alexander Blok, and the less well known Korolenko, Pilnyak, Fedin, Bezymensky, Ivanov, amongst others. His last years were full of poverty, malnutrition, illness, police surveillance, slander and isolation. Yet he continued to publish novels such as Unforgiving Years, The Long Dusk and his masterpiece, The Case of Comrade Tulayev. His autobiography, Memoirs of a Revolutionary, was first published in the United States in 1945. He continued to write until he died of a heart-attack in Mexico City on 17th November, 1947. Victor Serge and The Novel of Revolution – an essay by Richard Greeman, Serge scholar and translator (1991). Unforgiving Years – an extended book review by Roy Johnson of Serge’s last great novel (2009). The Cycle of Revolution: Men in Prison – an essay by Adam David Morton, part of his series relating literature to space, geography, and the city (2012). Red Petrograd: Conquered City – an essay by Adam David Morton, part of his series relating literature to space, geography, and the city (2012). The Case of Comrade Tulayev– an extended book review by Roy Johnson, (2010). The Journey into Defeat: The Case of Comrade Tulayev– an essay by Adam David Morton, part of his series relating literature to space, geography, and the city (2012). 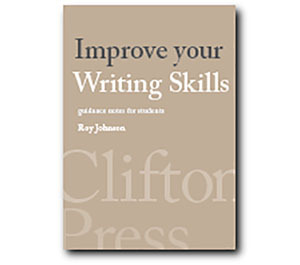 Midnight in the Century – extended book review by Roy Johnson (2010). The Zero Hour: Midnight in the Century – an essay by Adam David Morton, part of his series relating literature to space, geography, and the city (2012). Memoirs of a Revolutionary – an extended book review by Richard Greeman of Susan Weissman’s The Course is Set on Hope. Originally published in Issue 94 of INTERNATIONAL SOCIALISM JOURNAL, Published Spring 2002 Copyright © International Socialism. Revolutionary & Novelist – a biographical sketch (2009). Victor Serge – an introduction to his work – brief notes on Serge’s major fiction and non-fiction (2008). Victor Serge at Wikipedia – biographical notes, political ideas, works available in English, and web links. Victor Serge and Socialism – an essay by Peter Sedgwick, first published in International Socialism (1st series), No.14, Autumn 1963, pp.17-23. Writing for the Future – an essay by Pete Glatter, first published in International Socialism 2:76, September 1997. Copyright © 1997 International Socialism. A Requiem for Paris: The Long Dusk – an essay by Adam David Morton, part of his series relating literature to space, geography, and the city (2012). The City as Protagonist: Birth of Our Power – essay by Adam David Morton, part of his series relating literature to space, geography, and the city (2012). On Victor Serge as Vagabond Witness – a review by Adam Morton of Paul Gordon’s Vagabond Witness: Victor Serge and the Politics of Hope (2013). 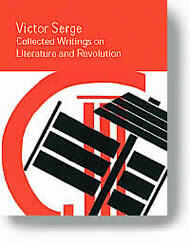 Victor Serge: A Political Biography – a review by Roy Johnson of Susan Weissman’s study of Serge’s politics as an intransigent Left Oppositionist (2013).